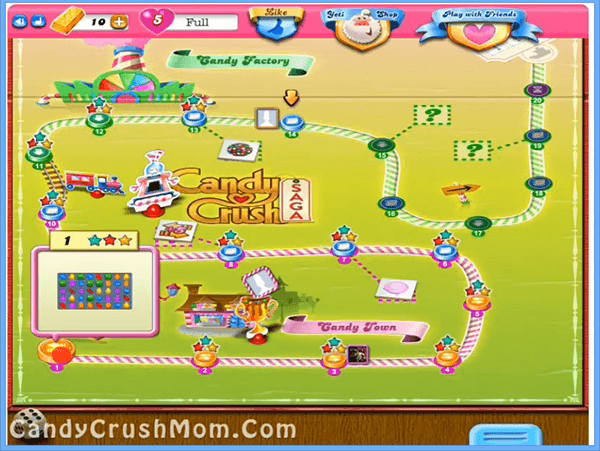 Its the first level of candy crush that is basically to teach you the way you need to play the whole game. As you know you needed just 300 points that is the pretty easy because from 40 candies and 6 moves you can easily score more. So if you match 3 candies of the same colors you could get 60 points per move or extra more points if some candies break automatically and else if you match 4 candies that we call striped candy which you can see on screenshot will give you double points(120) and so on. Tip: If you match 4 candies of the same color it make strip candy that give more score plus if you match strip candy with other 2 same color candies, will break full line beside strip candy. 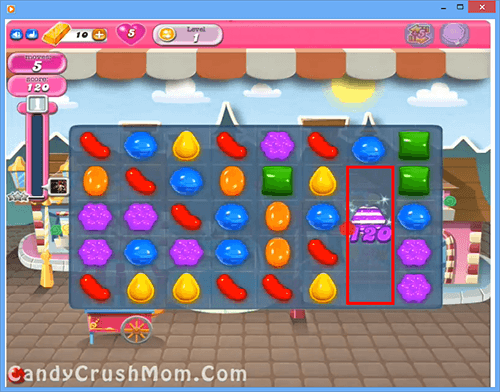 Its a walkthrough of level 1 in that we made 2 striped candies and 1 wrapped candy by making ‘L’ shape of red candies.